Tanoshiku Asonde Nouryoku Up! Tanoshii Youchien (楽しく遊んで能力アップ! 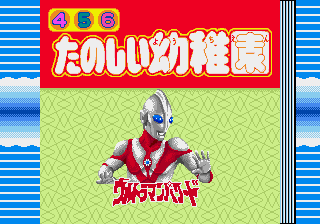 !たのしい幼稚園) is a Sega Pico game based upon several different properties.